San Francisco, CA (March 1, 2018) – Kat Von D Beauty has long been a go-to for professional makeup artists to create high pigment, long-wearing looks. 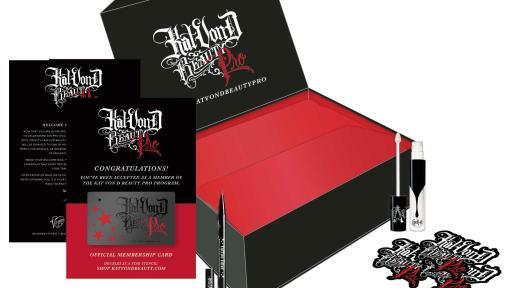 Now, Kat Von D is on a mission to make professional artistry cruelty-free by introducing the Kat Von D Beauty Pro Program, the only pro program with a cause. Beginning March 1, 2018, makeup artists - students and established, alike - are invited to apply for membership in this exciting program. 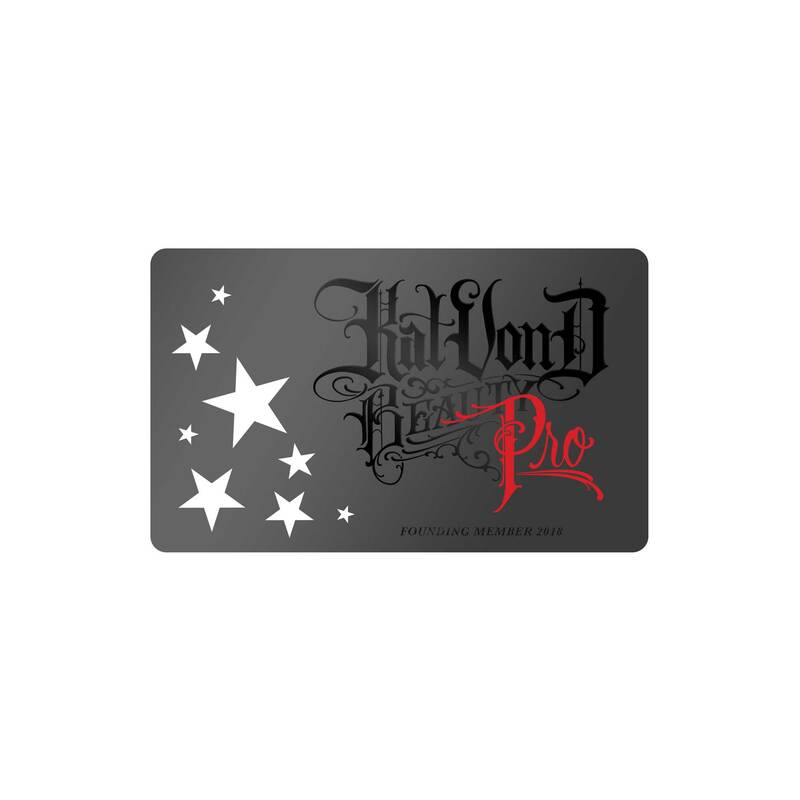 All accepted Pro Program members will receive an exclusive membership card and 30% discount on every product purchased on Katvondbeauty.com, so they can fill their kit with their favorite Kat Von D Beauty products, like Everlasting Liquid Lipstick, Lock-It Foundation, Tattoo Liner, and the Shade + Light Contour Palette. The first 5,000 Pro Program charter members will be rewarded with a luxe, limited edition welcome box featuring exclusive swag and two full-size artistry essentials (Tattoo Liner and Lock-It Concealer Crème in White Out). All details along with application criteria will be available on https://www.katvondbeauty.com/pro-program on March 1, 2018. Join the conversation by tagging @katvondbeauty and #katvondbeautypro.